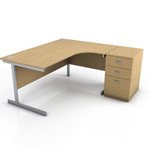 Optima is a cost effective operative furniture program for both commercial and home offices. A simple solution Optima is distinguised by its straight lines and Panel end legs. 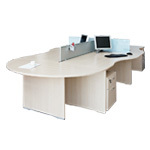 MFC particle board PEFC certified, high density laminate surface. High scratch resistance and recyclable 100%.